I could watch this all day! 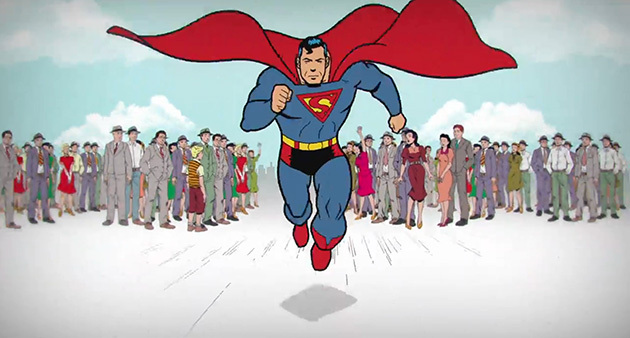 To celebrate 75 years of Superman this year, animation legend Bruce Timm, and Man of Steel director Zack Snyder have teamed up for this excellent, two minute summary of Superman’s storied past, noting the major events and media portrayals over the years. It’s not on YouTube yet, but you can watch it here. 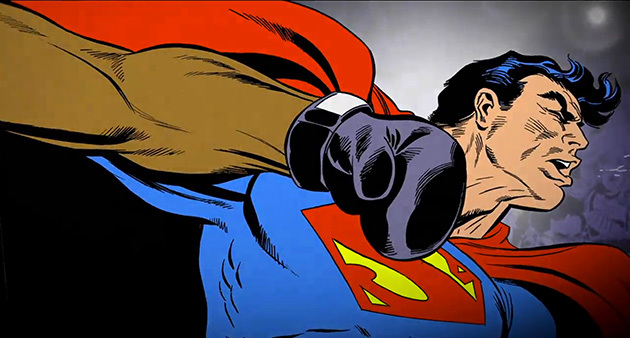 It kicks off with a bang with his first appearance on the cover of Action Comics #1 and ends (of course) lingering on the latest film version, with fights with classic enemies such as Doomsday (who killed him), Braniac and even the fight with Muhammad Ali, and many of the varied artistic styles which have graced Superman in those decades. This short will also be included in next month’s release of the Man of Steel on Blu-Ray.